So as part of the cleanup in the shop – yep finally back to that – that I started a while back, I’ve been pulling out a lot of wood that I’ve held onto for a while. When I start with a nice board, and cut it down for the project, I’m loath to get rid of the off cut. And those tend to pile up over time. And if you pay attention to the calendar, it does not take long at all to get a big pile. Anyways, I’ve got a plastic 30 gal can that I use for wood off cuts that I will eventually get rid of. However it really holds small stuff, not longer stuff – and that’s where the latest cleanup decision has had to be. I’ve got several pieces of wood that are between 1-3 feet long, and may be up to a foot wide. Some are warped, some have knots or branch joints. Since most of my working wood is from logs I’ve had milled up out of cherry, the joints in the wood doesn’t really seal up. So I have not only a stac k (pile?) of wood off cuts but a stack with lots of places to collect dust, bugs, etc. and have to finally go through and decide what to do. The first part will be to sort between “it can be cleaned up a bit” and “it’s just not worth it” and send the it’s not worth it to the burn barrel. The clean up stuff I will square and flatten then, then offer them up in the local wood store for free. While I tell myself that the wood turners that do pens will love it, the reality is that the wood is plain grained cherry. It’s pretty, but it’s not decorative, so it will be interesting to see what happens there. At a minimum I’ll have some more stuff to use for demoing sharpened tools upon. And more importantly, I’ll have recovered some more floor space in the shop. And since I’ve gone ahead an added the Festool tables from last spring to the shop area, extra floor space is really a big need ;). I expect to spend this evening sweating through all this, and then relaxing out back near my 55gal steel fire place. Stars should be out, moon is just past blue moon full, and it shouldn’t be too hot tonight near a fire. Right? 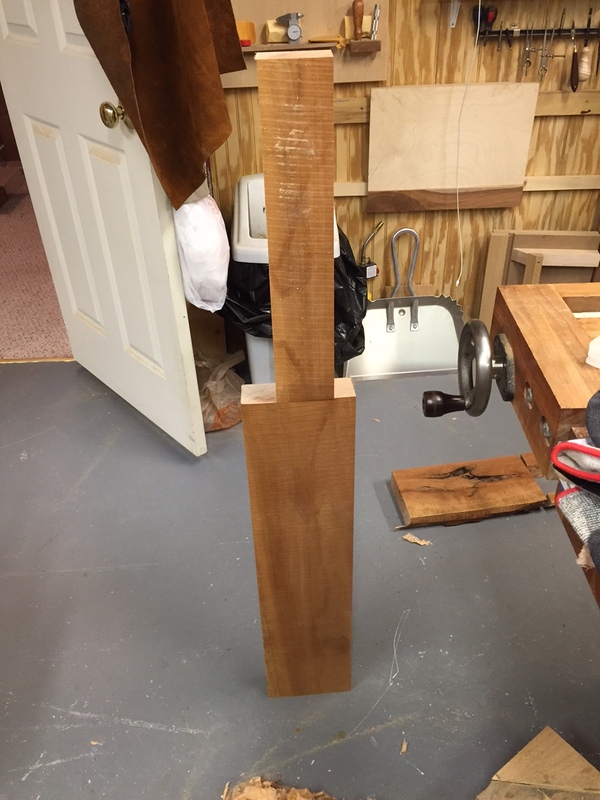 This entry was posted in Shop stuff on August 3, 2015 by bkbiggs. I tend to throw them in the yard waste/compost trash bin which is where my shavings and sawdust end up as well. As the “horse county” I live in seems to be making itself into more a “business county” I expect to see more folks looking for the “country county” wood projects for their houses. I like the idea of that over just having to compost stuff. Give it a go then, you can probably skip the jointer since the rustic look won’t require tight glue lines. Table saw, clamps, and PVA glue. Maybe mix in some reclaimed scraps as well to add character. I tend to cut the stuff into thin strips on the table saw and glue up cutting boards of mixed or same species. I’ll glue up a dozen or so at a time, and keep them on hand for birthday and house warming gifts. That sounds like a great idea – it would work well because i don’t keep stuff glued together , and that would have material prepped for project work. Great idea.